Download Free Flat Mag Blogger Template | BloggersStand ';-1!=b.indexOf("img.youtube.com")&&(a=' ');d=a+''+p+''+titlex+"
Download Free Flat Mag Blogger Template,blogspot theme,Responsive Blogger Template, Premium Blogger Templates, Blogger Templates, SEO Optimized Blogspot Templates, Magazine Blogger Template. So Far 3 Comments on "Download Free Flat Mag Blogger Template" - Post Yours! 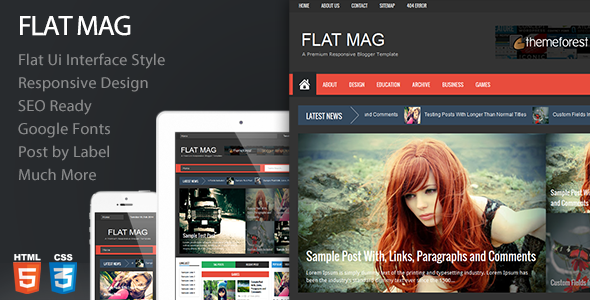 Hello Suresh Acharya we have sent Flat Mag V1.2 Responsive Magazine Blogger Template/Theme in your inbox. Kindly Check your email. Keep Visting And Do Share Our Website with your friends.You Can Also Join Us On Social Media Sites. I can't download this template 'Free Flat mag Template/ theme kindly send it to my email.